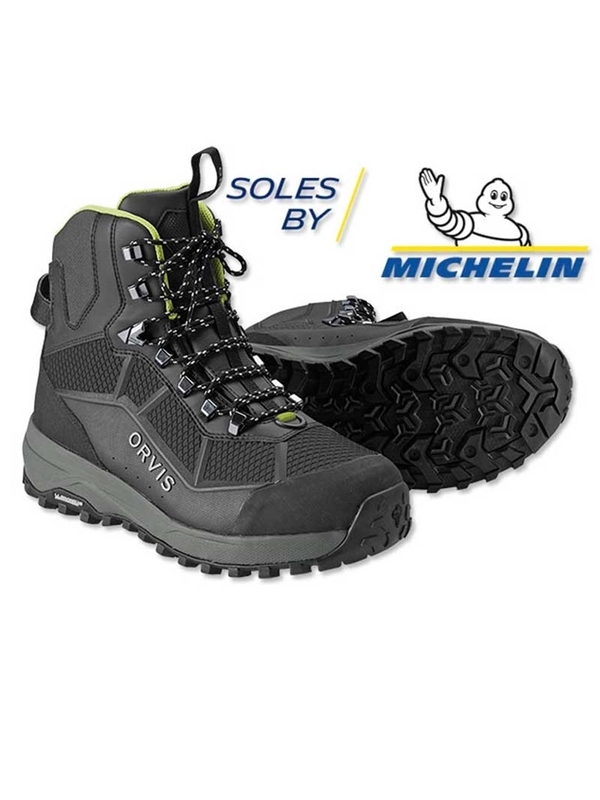 The Michelin Outdoor Extreme outsole offers 25% better abrasion resistance and a resounding 43% improvement in wet rubber traction. Using Michelin tire geometry, it offers a wider footprint for stability, a higher ratio of surface contact, and a lug pattern that reduces shock and improves pressure distribution. 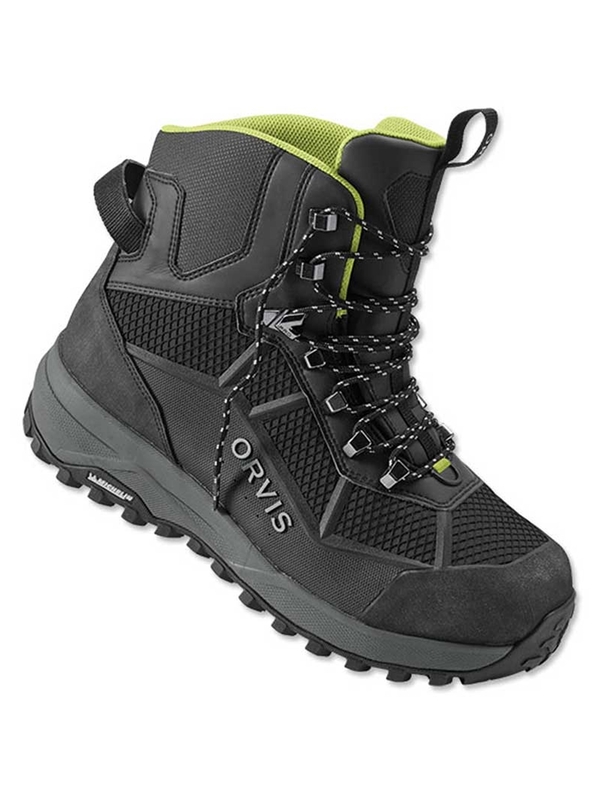 The Orvis Pro Wading Boots are an industry-first collaborative effort with Michelin. Built on an outsole compound specifically designed for fly fishing, this revolutionary new sole design is an industry disrupting advance in wet rubber traction. 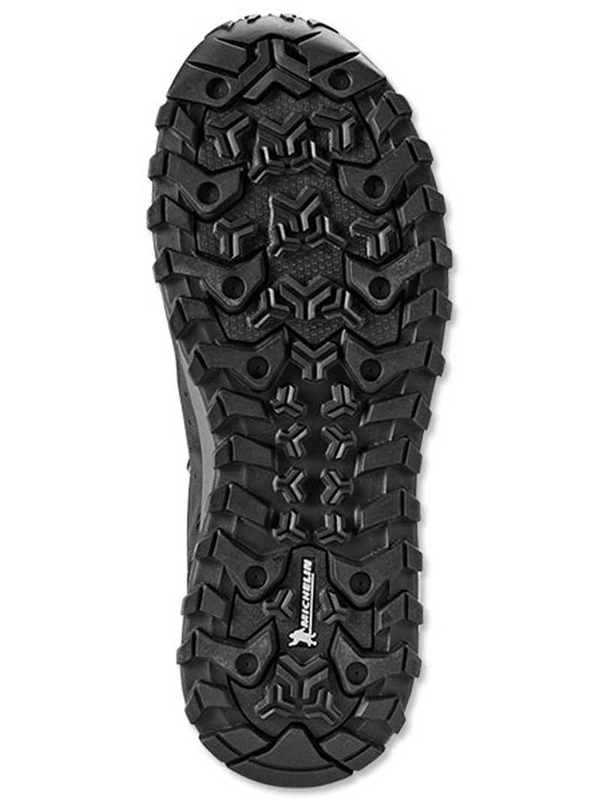 The Michelin Outdoor Extreme outsole offers 25% better abrasion resistance and a resounding 43% improvement in wet rubber traction. Using Michelin tire geometry, it offers a wider footprint for stability, a higher ratio of surface contact, and a lug pattern that reduces shock and improves pressure distribution. The two-layer midsole has a co-molded ESS plate that provides improved stud retention and torsional stability. The shock absorbing Phylon midsole improves “river feel” and compresses less than standard EVA midsoles. Orvis partnered with Ortholite to create a 3D molded X25 insole designed for high-impact sports, delivering maximum comfort and arch support. An industry first cast PU upper eliminates seams while providing a zoned cage for added stability, grip, and extreme abrasion resistance without the added bulk. The boot is higher cut for ankle support and lined with closed-cell foam. Scratch rubber at the toe cap and heel for abrasion resistance, an oversized heel pull for easier on-and-off, and tightly woven laces reduce broken laces. As with most wading boots, you should order these a size to size-and-a-half larger than your street shoes. A 9 should go size 10 and 9.5 should go to 11. Any questions on sizing, please don't hesitate to give us a call.